Two-part question: what would life be like if your best friend was an albino gorilla named George? And then, if George and a few other animals mutated into giant city-bashing monsters, what would you do? 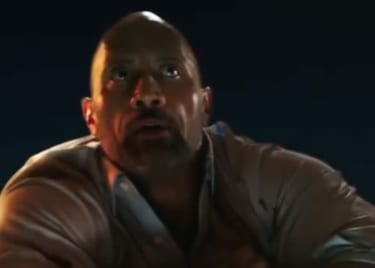 Dwayne Johnson gets to answer those questions in Rampage, the new film from Johnson’s San Andreas director Brad Peyton. 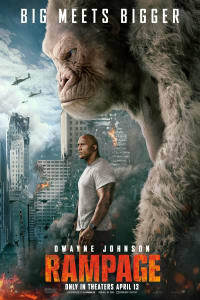 The Rock plays Davis Okoye, a primatologist whose gorilla friend, with a handful of other animals, has been mutated. With the whole world in jeopardy, Okoye has to find a way to save the day and get George back to normal. Based on an ’80s arcade game, Rampage could be an over-the-top action film in a familiar mode. In reality, this video game adaptation puts a new spin on what we expect from action movies. A lot of action-heavy movies (old and new) fall into the trap of getting lost in their own spectacle. That may not sound bad at first, but more often than not, films that are too focused effects and setpieces feel hollow. There’s nothing for us to be invested in. Rampage put a special focus on its core emotional dynamics. That’s a special thing. 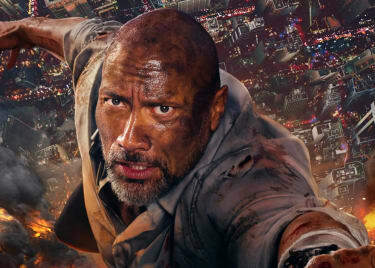 On paper, Rampage has everything audiences would want from an action movie. It has excitement, giant monsters, destruction, and a brave hero willing to risk it all to save the world. Ultimately, the action sequences wouldn’t mean much if audiences couldn’t care about Okoye and George. Thankfully, Brad Peyton and Johnson made sure to balance out the movie’s heart-pumping excitement with a heartwarming story about a man doing everything in his power to keep his best friend safe and happy. Yes, Rampage is a fun, family-friendly adventure, but its plot also centers around giant monsters wreaking havoc around the world. The premise is easily connected to horror – we’d all react with utter terror if we saw one of the movie’s monsters in our city. One thing is clear: Johnson and Peyton have something unique with Rampage. The creative duo use a simple concept as a launching-off point to craft an unexpected blend of adventure, comedy, drama and horror. 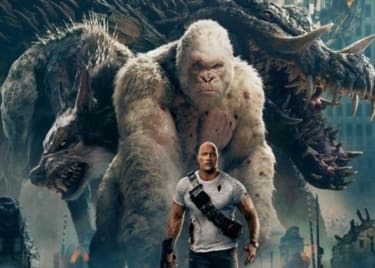 Rampage will be released in theaters on April 13, 2018.